Dementia presents as a group of symptoms, and Alzheimer's disease is the most common cause of dementia. When someone is told they have Alzheimer's or dementia, it means they have significant memory problems as well as other cognitive and behavioral issues. There is great confusion about the difference between Alzheimer's and dementia. In a nutshell, dementia isn't a specific disease. Instead, dementia describes a group of symptoms affecting memory, thinking and social abilities severely enough to interfere with daily functioning. Alzheimer's disease is the most common cause of dementia. A good analogy to the term dementia is “fever.” Fever refers to an elevated temperature, indicating that a person is sick. But it does not give any information about what is causing the illness. Dementia is not a disease - it is the clinical presentation of symptoms of a disease. There are many possible causes of dementia like symptoms. Some causes are reversible, such as certain thyroid conditions or vitamin deficiencies. If these underlying problems are identified and treated, then the dementia reverses and the person can return to normal functioning. However, most causes of dementia are not reversible. Rather, they are degenerative diseases of the brain that get worse over time. The most common cause of dementia is Alzheimer's disease, accounting for as many as 70-80% of all cases of dementia. The confusion is felt on the part of patients, family members, the media, and even health care providers. Contrary to what some people may think, dementia is not a less severe problem, with Alzheimer's disease being a more severe problem. There is not a continuum with dementia on one side and Alzheimer's disease at the extreme. Rather, there can be early or mild stages of Alzheimer's, which then progress to moderate and severe stages of the disease. One reason for the confusion about dementia and Alzheimer's disease is that it is not possible to diagnose Alzheimer's with 100% accuracy while someone is alive. 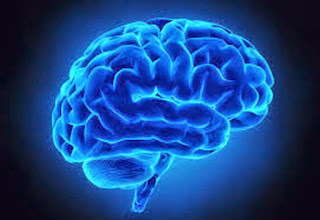 Rather, Alzheimer's disease can only truly be diagnosed after death, upon autopsy when the brain tissue is carefully examined by a specialized doctor referred to as a neuropathologist. During life, a patient can be diagnosed with “probable Alzheimer's.” This term is used by doctors and researchers to indicate that, based on the person’s symptoms, the course of the symptoms, and the results of various tests, it is very likely that the person will show pathological features of Alzheimer's disease when the brain tissue is examined following death. Title: "What’s the Difference Between Alzheimer’s Disease and Dementia?" "What’s the Difference Between Alzheimer’s Disease and Dementia?"